About many of the photos on this site. Minnie and Ruby Gertrude told me that many of the photos they had were taken at carnivals since most people did not have cameras in the early 1900s. John Henry Smith was married to Ruby Gertrude Crawford and is the father of John William Smith. John Henry Smith was born July 22, 1894, and died Dec 4 1918 of pnemonia. He is buried at Ione Ark near Booneville Arkansa. John Henry had 3 brothers and 2 sisters. Brian Harvey who lived in Midwest City was the half brother of John Henry. I went to the cemetary where John Henry is buried an took this photo of the grave stone . The information on the grave stone reads John Henry Smith. the writing on the top states "Woodmen of the World Memorial". Below the date of death is "Weep Not For He Is At Rest". 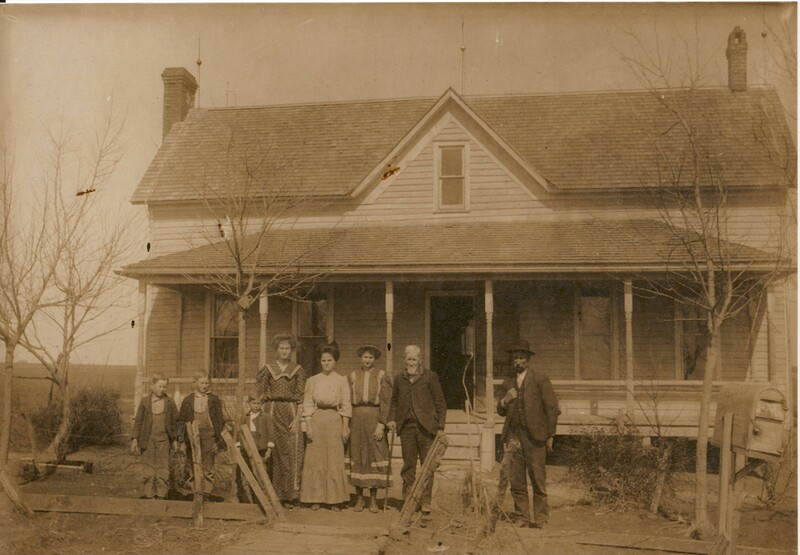 John Henry had many relatives, the Harveys and Dunningtons, who lived in the Texarkana, Ark area. I met many of this family when I was a child. Ruby G. told me that John Henry had fought in the Spanish American War. Myrtle LaHue Carroll was the mother of Aquila I. Carroll Smith, Martha Carroll Swinney, Inez Carroll, and Vera Carroll Sugart. She had a very hard life but was a wonderful caring person who made great sugar cookies and apple pies. Interview with Emma LaHue . Emma was my great aunt, my Grandmother Myrtle's younger sister. I did this taped interview in about 1978 trying to get information I could use to write some of the history of my Grandmother Carroll's family. After you download the file you should see instructions about whether to open or save. You want to save the file. Once it is on your computer rename the file from AuntEmma.mpthree to AuntEmma.mp3.